We all suffer from liberphobia, the fear of freedom. Everyone says they want to be FREE. Oh really, I say. You want to be free. And what does freedom mean to you? Do you want to be free of possessions, orÂ possessiveness, or attachments – free of baggage, free of stuff? Free of burdens, responsibilities, anchors, obligations, ties? Free of oppression, or authority, or guidance, or protection? Free of what? Freedom and security are flip sides of the coin. You can’t really be free until you accept that security is an illusion, and that even when you have everything, you really cannot possess anything. Everything – everything – changes; even insurance companies, banking institutions and (gasp!) marriages. Everything, in the way that we know it to exist, ends. There is no insurance; no money-back guarantee. So you say you want to be FREE. And I ask, what are you able to lose? When the answer is ‘everything’, then you are free. 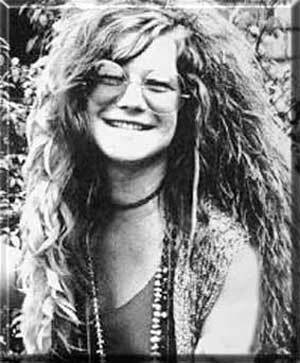 We all know what Janis Joplin sang – that freedom’s just another word for nothing left to lose. That is true, but it doesn’t only mean, that when you are busted flat in Baton Rouge no one will bother to rob you. Nothing left to lose also means that you are satisfied, that you have enough. You have nothing to lose because you have faith in the eccentric Universe, where nothing is ever lost -Â it is only changed. When you really know and accept in your heart that you cannot lose, that you will always have enough to be satisfied and grateful, and that no amount of physical insurance will make that fact any more true – then, you have nothing left to lose, and you are really and truly free. I’ve heard it said that the richest man is not the one who has the most, but the one who needs the least.